Strong leadership inspires strong loyalty. There’s a way to inspire loyalty among your team, a method that might surprise you: Lead with humility. 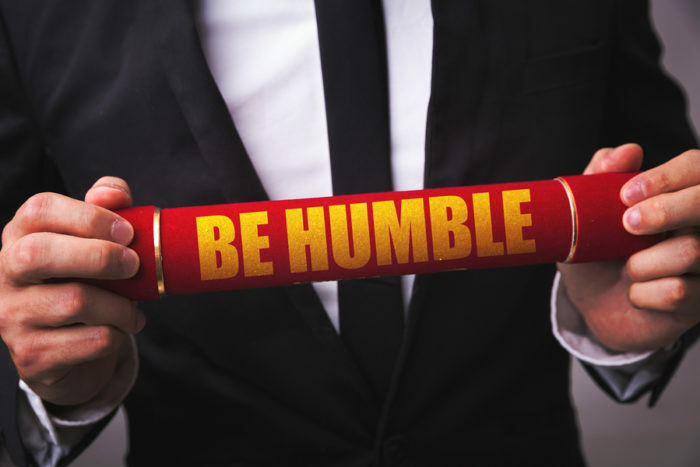 Most managers don’t think of humility as a key to strong leadership. They figure they need to appear as forceful, confident, and in charge. Humility, they believe, will be viewed as a sign of weakness. Actually, the opposite is true. It takes confidence and strength to put the interests of others ahead of yourself in leadership. One way to show humility is to give credit to others for your team’s successes and take responsibility for your team’s failures. Your team is watching you every minute. How you handle these issues will go a long way toward determining the level of loyalty you’ll receive from your staff. I’m reminded of a story about a head basketball coach who called a timeout in the final seconds of the fourth quarter to set up a game-winning play. His assistant coach came up with a strategy the head coach felt would work. The decision was made to go with the assistant’s suggestion. When the team inbounded the ball, however, the play completely backfired and the game was lost. After the game, a group of disgruntled fans asked, “Who was responsible for that last play?” With his assistant at his side, the head coach answered, “Me.” In that moment the head coach gained the loyalty and respect of not only his assistant but also the players. James Allen, a nineteenth-century writer, said, “You do not attract what you wish, you attract what you are.” If you demonstrate a strong measure of loyalty to your team, you’ll find that same measure of loyalty being returned to you. By inspiring loyalty, you will lay the foundation for lasting success. Jeremy Kingsley, is a professional speaker, author, and president of OneLife Leadership. Since 1995 he has spoken to over 500,000 people at live events around the world. He holds bachelors and masters degrees from Columbia International University and is the author of four books including Getting Back Up When Life Knocks You Down. Contact him at jeremy@jeremykingsley.com.